"Just steps from Main Street, the Town Lift, and everything Old Town has to offer, this little historic home is a diamond in the rough - but with vision and inspiration, could be the jewel of Old Town. 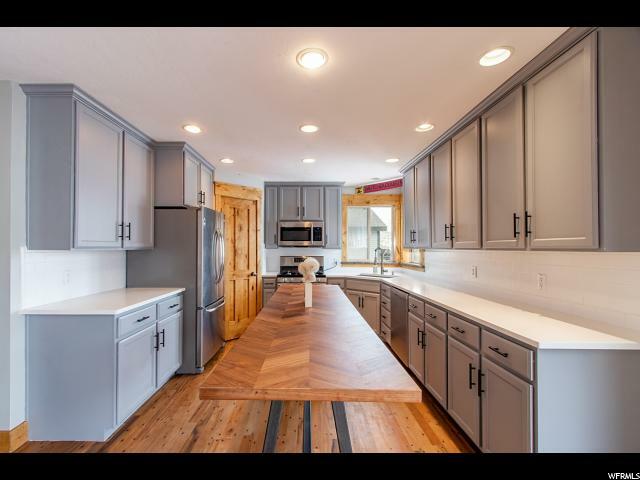 Renovate a piece of history with all the creature comforts of a modern home while still preserving the historical charm, and enjoy living the Park City dream in a location that can't be beat." "This charming historical cottage, built in 1900, is well situated on a .11 acre parcel. 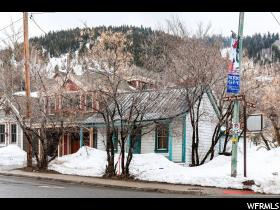 Unique opportunity for redevelopment in a prime Old Town location, only steps away from Park City's historic Main Street." 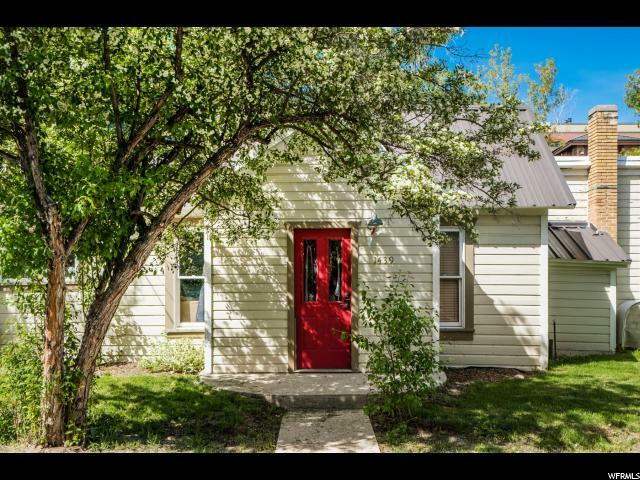 "Located adjacent to City Park and just a few old town blocks to the bottom of Historic Main Street, this vintage cottage is your opportunity to own a piece of Park City history. With street frontage of 38 feet, the existing historic home is substantially wider than what can be built on a standard 25' x 75' lot. Remodel and expand the square footage or reap the benefit of a livable home close to Main Street at an affordable price!" 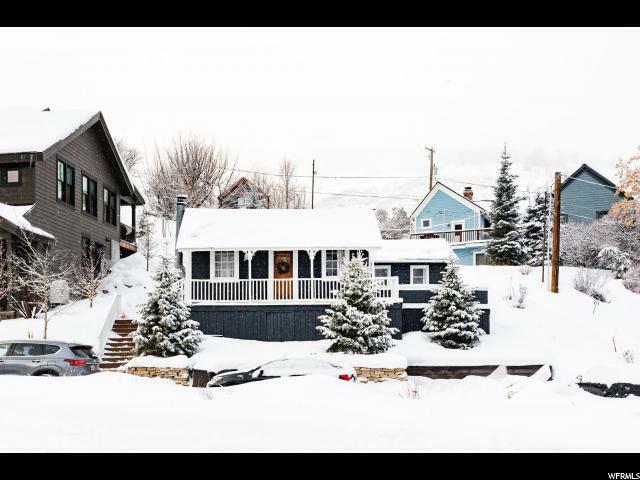 "Historic gatehouse meets urban flat in this two bedroom, 2 bathroom home at the base of the the Guard Road in Old Town, Park City. Located only minutes from Deer Valley and Park City ski areas, and walking distance to the restaurants, shops, and galleries on Main Street. This charming home combines the historic features such as the wood floors and wood burning fireplace with contemporary highlights of the new stainless steel appliances and cabinets with marble countertops, and completely renovated bathrooms with euro glass and marble pebble tile. There are two decks perfect for outdoor entertainment and ample off street parking. This darling pied a terre is a perfect get away with redevelopment potential." 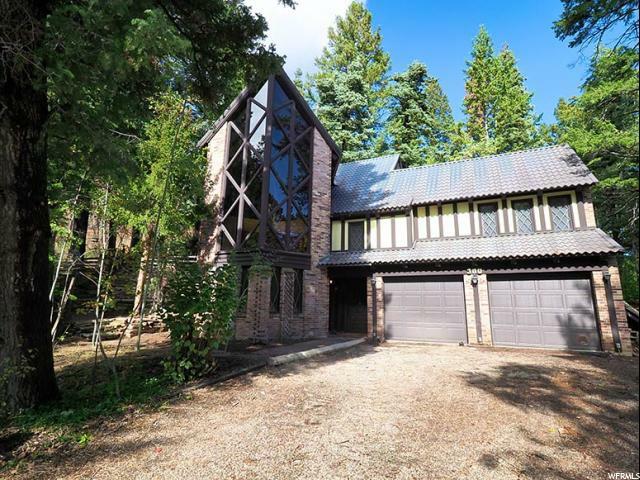 "A spacious home on a beautiful wooded lot with SPECTACULAR views. Enjoy the PEACE and QUIET on the large deck that affords year-round grilling. Take your morning coffee on the master bedroom balcony to watch the sunrise. An updated kitchen with imperial gold granite and stainless appliances. Work from home in your private den/office. Upstairs Master with spacious closet-separate tub/shower w/ great views. Upstairs laundry. Beautiful granite countertops in all bathrooms. 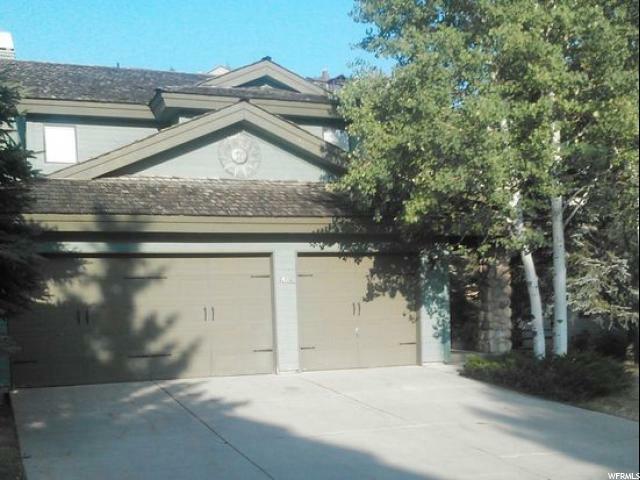 Lots of storage, a huge basement playroom/family room & a south facing driveway. Moose and deer visit often. Hiking and biking trails surround. Oversized 3 Car Garage No mowing* No watering grass* Mountain living at it's best!" "One of the first homes built in Pinebrook, this solar powered home was smart before energy efficiency was a priority in home building. Situated perfectly South, with a roof pitch designed for passive and active solar efficiency. A two-story sun room makes for a unique and welcoming entrance to a warm and comfortable home. The main level offers a family room, semi-formal dining room and and updated granite kitchen. There is also a large bonus/family room space. Upstairs, four bedrooms with private ensuite baths makes for easy everyday living. The garage offers plenty of extra length for workshop space or storage for outdoor toys. Situated on almost an acre with beautiful mature and natural landscaping. " "Vaulted ceilings, floor to ceiling windows, a home gym and wood flooring throughout the main level are just a few of the extensive upgrades that this immaculate home has to offer! You'll simply love the custom finishes that include a stone accent wall in the master bedroom, granite counter tops and solid wooden doors throughout the entire home. A great backyard with an outdoor living area, pergola, fire pit, heaters and gas stubbed barbecue offer a fantastic space for entertaining and breezy summer evenings in desirable Jeremy Ranch. 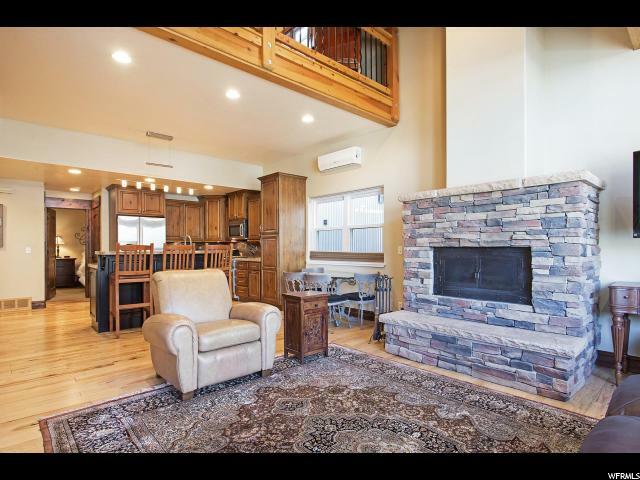 Located only seven minutes from Kimball Junction, fifteen minutes from Park City and twenty minutes from Salt Lake City, you'll never be far too from major city amenities." "Adorable home on the historic registry, built in 1904 in the Old Town neighborhood. Off-street parking spot. Hand-stacked rock work in the retaining wall and stairs to the front porch. New landscaping includes native flowers, bushes, & trees, plus a drip and sprinkler system. Well maintained and painted exterior. Enjoy the view of the Aerie w/the resident hummingbirds on the long front porch. Step inside, and you'll see it has been lovingly updated and remodeled w/special features like vaulted ceilings, stainless appliances, efficient windows, & an expanded master bedroom w/added bath. 74 King Road is on 2.5 city lots much bigger than your standard Old Town lot! It has approximately 1,591 square feet of living space with 3 bedrooms and 2 baths, all on 1 level. Remodeled kitchen has new cabinets, counters, fixtures, & lighting. Laundry is off the kitchen, as is a storage room for everything from food to skis. 74 King Road would perfect as a primary residence or a savvy investment." 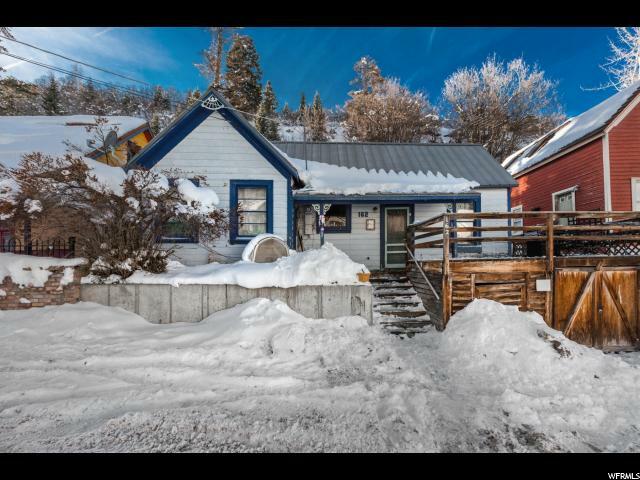 "Remodeled miner's cabin, sits in the heart of Old Town only 1 block from Park City Resort. This 2 bedroom, 1 bath, 1,003 sqft home sits on a little over 2 Old Town lots. The two extra wide lots sit side-by-side, affording space for a generous remodel and expansion. The home was recently remodeled in 2015 and includes granite countertops, custom cabinetry, and stainless steel appliances. Also including new tile flooring in the kitchen and bathroom, and wood flooring throughout the living areas of the home. 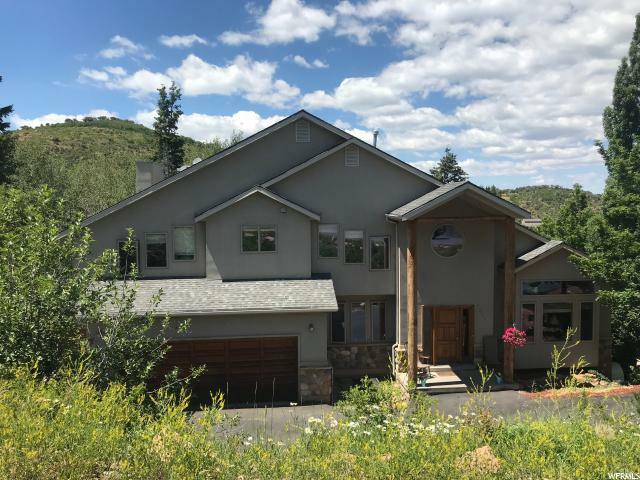 The home provides unbelievable access with its prime Old Town location, only one block from Park City Resort and a short walk to Main Street. The finishes and space allow for this home to be lived in or rented as is, and sets up well to be remodeled." 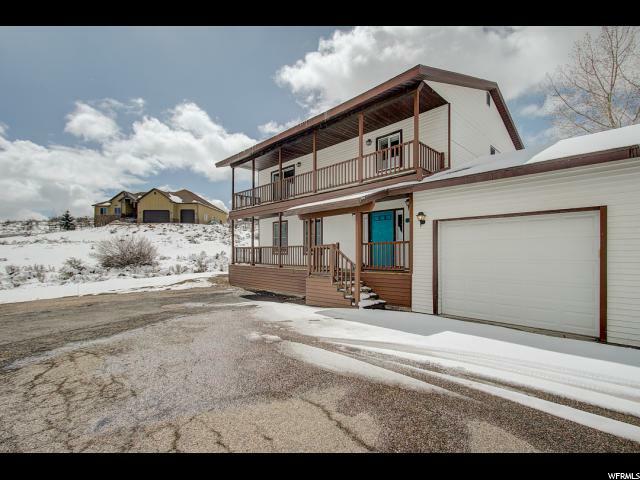 "Wow, a totally renovated 6 bedroom home on a hilltop location in Silver Creek with stunning views and situated on 10+ acres. Imagine being able to move into a home that needs no work at all. Start enjoying the coveted Silver Creek rural lifestyle. Bring your horses, all your 4 legged family members, and all your toys. Live off the grid if you like, plant a wonderful garden, build a green house, a barn, or garage with an apartment on top, etc. Have the freedom to live as you like since there's no HOA limiting your imagination. 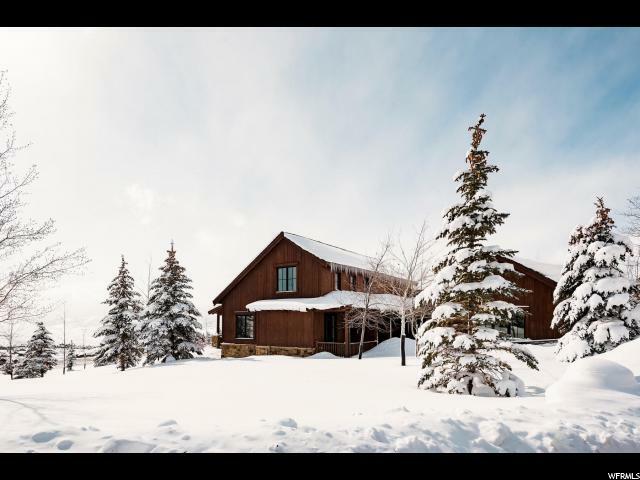 Amazing privacy, yet you are 12-15 minutes away from everything Park City has to offer and only 35 minutes to the airport. 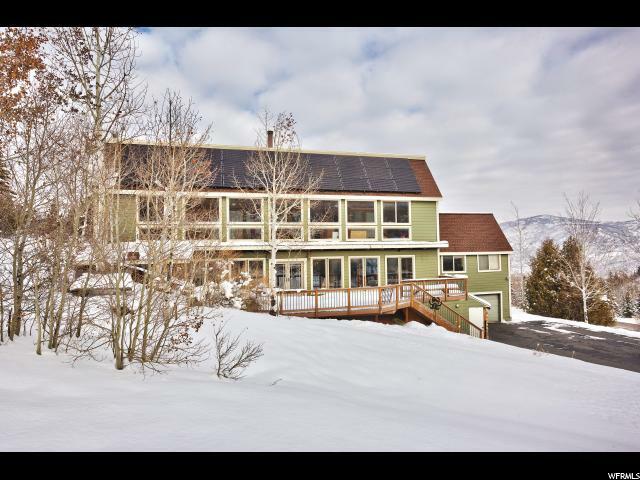 The best part of all - this home is in the Park City School District. Approved plans for an attached garage are included with the purchase. " 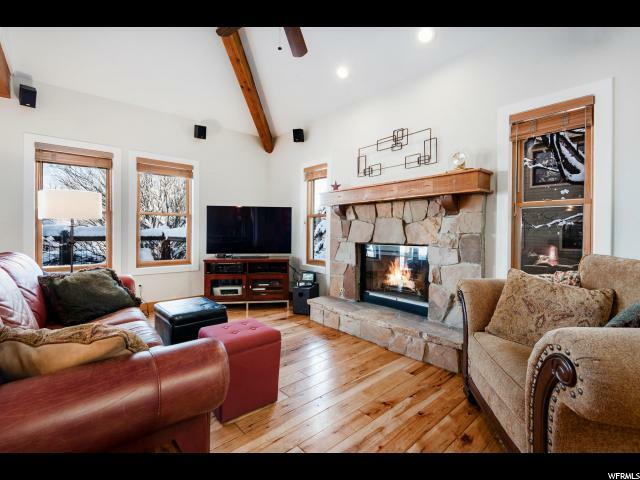 "This 4 bedroom Parkview condo is perfectly located in Park Meadows right across from the Park City Municipal Golf Course, Ruth's Chris Steak House and White Pine Touring Nordic Center. Walking distance from historic Main Street and minutes walking/driving from the three area ski resorts, one of which is now the largest in North America. Free bus stop system for transportation to night life, dining on Historic Main Street, and Snynderville basin at Kimball Junction. Walk or bike to McCleod Creek Trail and Creekside Park. Great condo for a residence or vacation rental! It is minutes to one of four Park City highly ranked elementary schools, junior high and Park City high school. This unit has recently updated all 3.5 bathrooms and newly painted throughout condo." 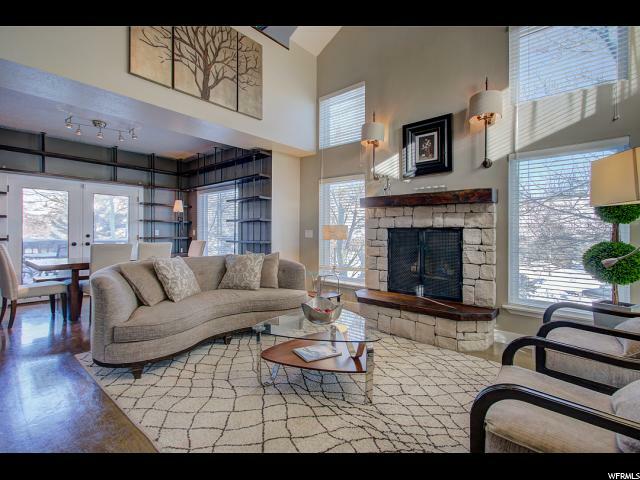 "STUNNINGLY REMODELED Park City home nestled in a pristine location in Jeremy Ranch! Close to the Jeremy Ranch Golf and Country Club! 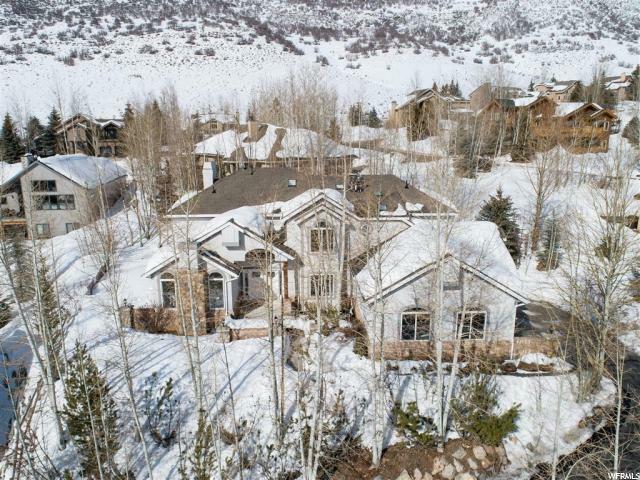 Don't miss out on owning a home in this desirable area in Park City! 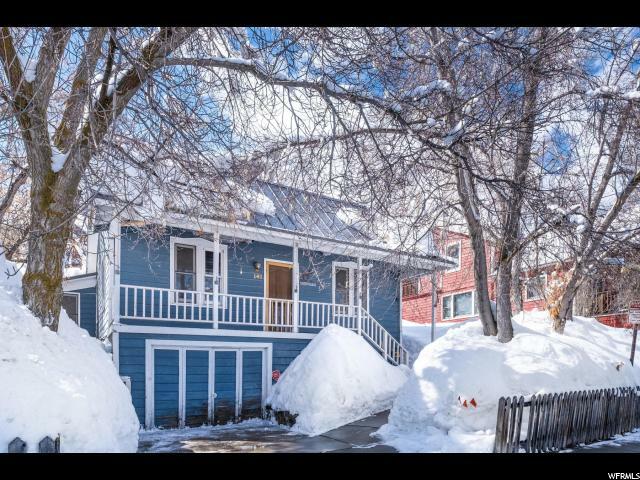 An easy commute into downtown Salt Lake City or to Main street in Park City! Close to the Utah Olympic park, shopping at the outlets, Newpark Town center, and just a short drive to Rockport state park and Park City Mountain Resort! If you're looking for Privacy this home has it! Nestled up and off the road surrounded by Quaking Aspen trees! Mountain living at its best! Step inside to the ELOQUENT UPDATES this home has to offer! FULLY UPDATED with designer selected finishes! UPDATES include freshly REFINISHED hardwood floors, plush NEW carpet, NEW light fixtures, NEW door hardware, CUSTOM tiled fireplaces and floors! The Kitchen BOASTS NEW MARBLE COUNTERTOPS, a LARGE kitchen island and a CUSTOM tiled back splash accented with all NEW appliances! NEW GRANITE COUNTERTOPS throughout! Open and spacious floor plan! Large REMODELED master suite with a walk in closet, NEW vanities, NEW stand-alone tub and NEW tiled shower and glass! Private deck! Plenty of space to entertain guests and family here! Cozy up to any of the 3 fireplaces during the winter months or take advantage of the basement wet bar in the large basement family room! NEW water heater, NEW nest thermostats! Home theater system included! This home is sure to impress! DON'T MISS OUT ON THIS ONE!!! SUPER CLEAN AND MOVE IN READY!!!" "First Rule of Real Estate? LOCATION and this Charming Historic Landmark Cottage is in the best location in Old Town! 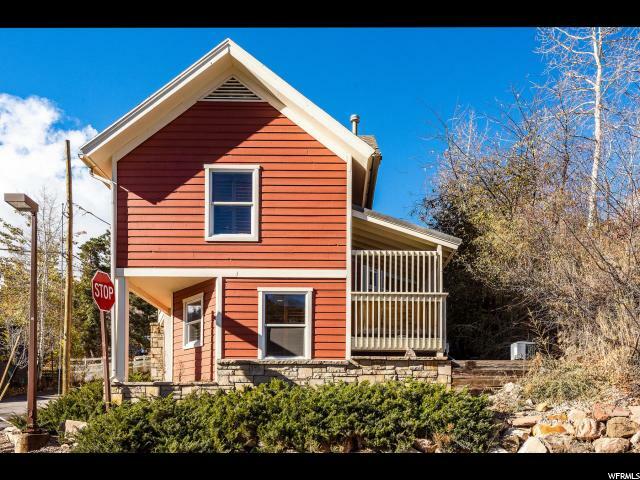 Walk to Main Street's shops and restaurants, walk to skiing, walk to trails, when you live here you live in the heart of it all, 4th of July Parade, Halloween on Main Street, Sundance Film Festival, are all just steps away. Currently configured as two bedrooms/two bathrooms with a loft. The building envelope for this over-sized Old Town Lot can support a home between 3,500 to 4,500 square feet." "This charming Trapper Cabin is so close to Promontory's Celebrated Ranch Club Compound you can walk to it. This nicely finished unit has the big southern views that everyone wants as well as the upgrades inside to enjoy year around. This home boasts beautiful wood floors and high quality finishes throughout along with Viking professional appliances. Enjoy main living with a large master bedroom and bath and well thought out floor plan." "Beautiful home now available in Silver Springs South Shore neighborhood. 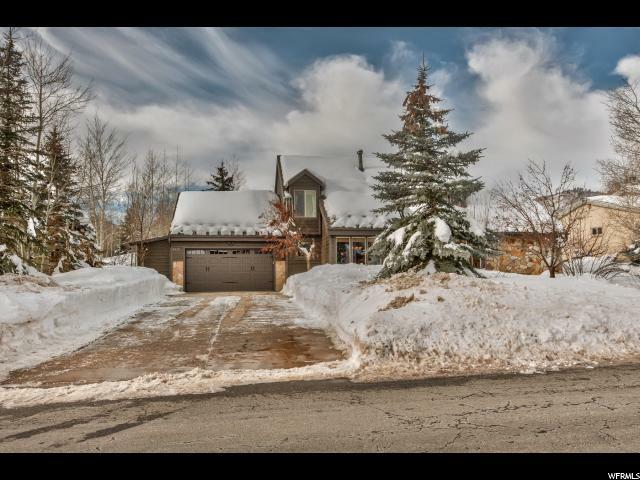 Featuring all the amenities you would expect from Park City living this home has a full sauna, heated tile floors, jetted tub and a fully updated kitchen. A captivating curved staircase leads to the second level private Master bedroom suite with new Pella sound reduction windows, private den and spacious master bath. 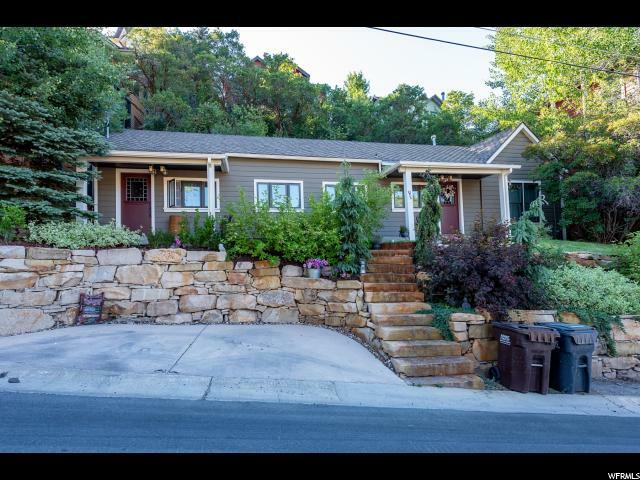 Sitting on a quite street this home offers world class mountain views along with all the amenities of this wonderful neighborhood. 2 public lakes with beaches and a full playground are all just a short stroll away. Only minutes away lies the Best Snow on Earth in Park City's 3 world class resorts along with year round entertainment, dining and recreation. Shown by appointment only, call today to schedule your private showing. " 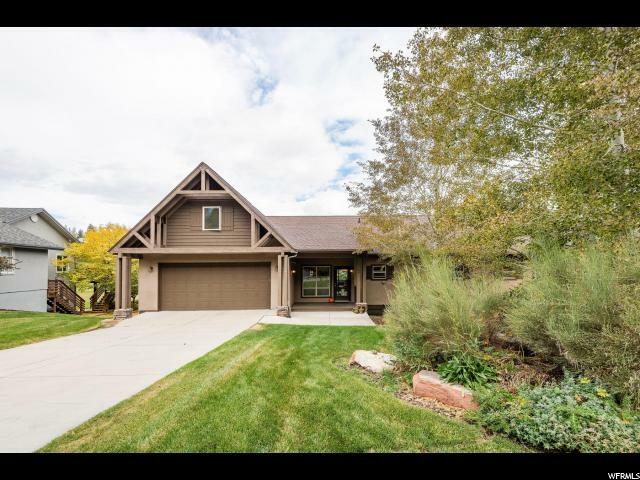 "A stunning home located on an incredible lot in Jeremy Ranch. Backing to the golf course, while offering one of the only fenced yards in the neighborhood with pristine, mature landscaping to ensure privacy. This five-bed, 4-bath home has a tasteful contemporary character. The high ceilings and open floor plan create fantastic light and a welcoming feel throughout. The bamboo flooring in the kitchen and dining leave easy maintenance for entertaining. Enjoy the recently updated stainless-steel appliances, sleek granite countertops in the kitchen, as well as the baths throughout. Upstairs features the perfect space for kids, or for an extra bedroom and quiet office. The walk-out basement also features ample natural light, a large family and game area with a wet bar and two sizable bedrooms. Minutes to the best of the outdoors that Park City has to offer, restaurants, shopping and Historic Main Street. A quick 25-minute drive to downtown Salt Lake City and the International Airport. "